Welcome to the third segment of the Cross County Trail! 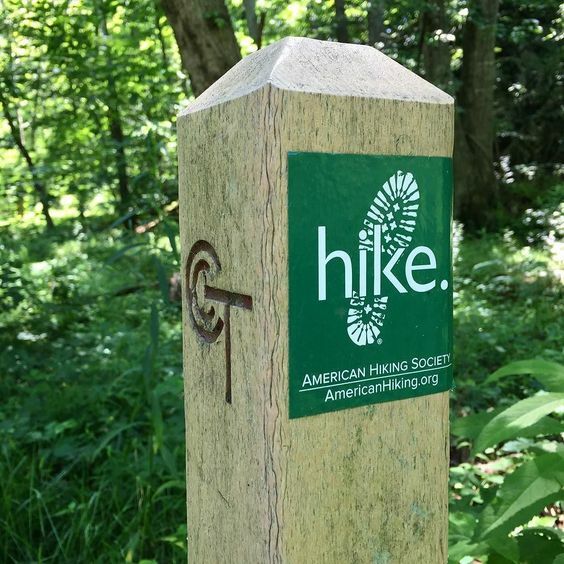 This part of the hike covers nine miles from the City of Fairfax to Springfield. The CCT doesn’t disappoint, as it continues to provide a unique look at the “Ribbons of Green” running through Fairfax County. Its fresh perspective is one worth exploring. To get a trail overview, refer back to our Cross County Trail Intro article or review the Fairfax County trail maps. Bring your fully charged phone (with a GPS) and zoom in until you can see the trail. Technology is very helpful in ensuring you stay on track; however, this segment of the CCT was the most easily navigated thus far! At the end of the last article, we concluded Segment 2 at Thaiss Park in Fairfax. For Segment 3, we head south out of Thaiss Park, where the trail quickly runs through Mantua Park. The majority of the trail throughout Segment 3 is paved, but you’ll get nice views of the creek along the entire nine miles. The first few miles of Segment 3 are particularly scenic and lush, as the CCT runs along Accotink Creek. As you leave Mantua Park, the trail Ts; turn right to stay on the CCT. The trail continues along Accotink Creek, and soon you’ll see a few street crossings. When you cross Prosperity Road, notice the cute park sitting off to your right. As you continue the trail, you’ll pass briefly into Woodburn Road Park. The trail keeps following Accotink Creek, which offers great access points for the pups to hop in the water for a splash or a swim. Take some time to allow your companions to cool off. As you cross under King Arthur Blvd, you can tell that the trail is well loved. You’ll find a handmade stretching post and picnic table to enjoy the stream. 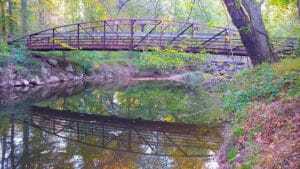 Next you’ll pass through Mill Creek Park, where the trail continues to be scenic and canopy-covered. The Cross County Trail provides ample opportunities to get away from the hustle and bustle of urban life. Take in the natural foliage, wildlife, and waterways on your hike. These first 4 miles of the segment provided solitude, beautiful scenery, and (once again) great stream views. As you reach Wakefield Park, you’ll find yourself at the halfway point of Segment 3. 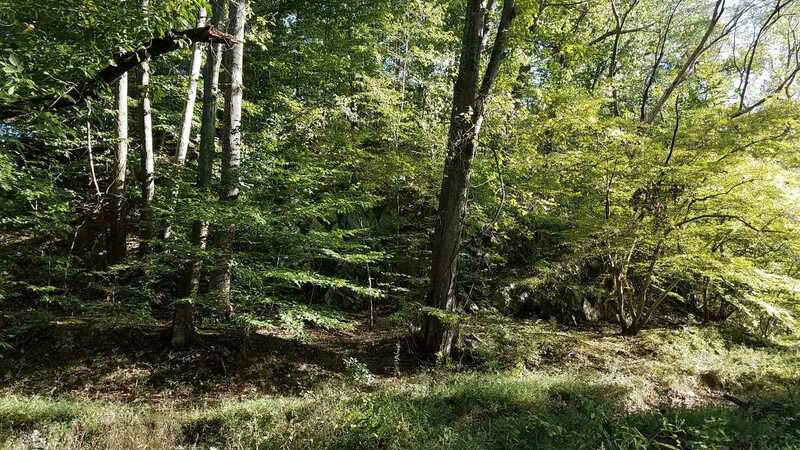 The second half of the trail offers amenities/facilities, views of Wakefield and Accotink Parks, a lovely lake, and a few historic sights. 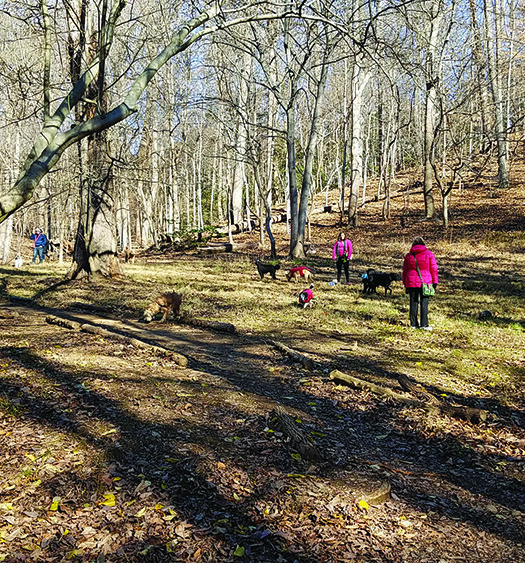 Wakefield Park provides many trail offshoots, as well as Audrey Moore Recreation Center, where you can use the facilities and fill up your water if you need—or enjoy a picnic lunch! You’ll also find a few bridge crossings in Wakefield. NOTE: There was some trail construction that caused a detour off the CCT onto another park trail in late September around this area. The construction looked as though it was almost done, but be aware, as there is no information on the Wakefield Park website regarding this. However, there are signs posted in the park. After you mosey through Wakefield Park, you’ll cross Braddock Road and then quickly return to a stream-side walk. The portion from Wakefield to Accotink is lovely. Be alert throughout this area as it is a popular mountain biking spot. As you approach Lake Accotink, you will be afforded many fine views of the gorgeous 55-acre lake. The late afternoon light shining through the trees and on the lake is simply not to be missed, so please plan ahead to allow Lake Accotink the time it deserves. 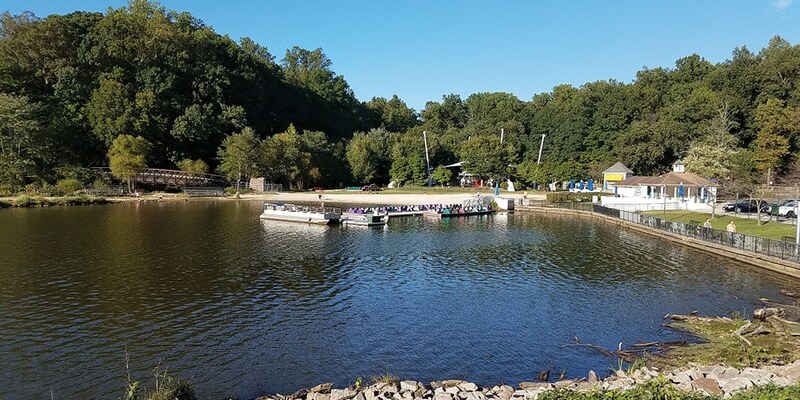 Season-permitting, you can also enjoy the sandy beach, boating, fishing, carousel, and much more. There are also facilities and amenities at Lake Accotink depending on the time of year: http://www.fairfaxcounty.gov/parks/lake-accotink/. 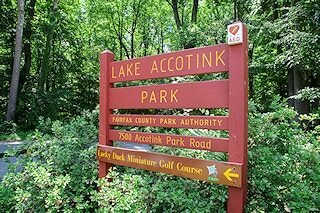 Take a break from your hike at Lake Accotink Park. Pack a picnic or enjoy some recreational activities. The CCT takes you about halfway around the lake. Past the marina you’ll head out along the levy, down the hill, and take a left into the parking lot. You’ll head under an active railroad, where you can catch a glimpse of the spillway on the other side. There is a trail along the lake, but that is not the CCT. Continue through the entire parking lot to where the trail continues back into the woods. 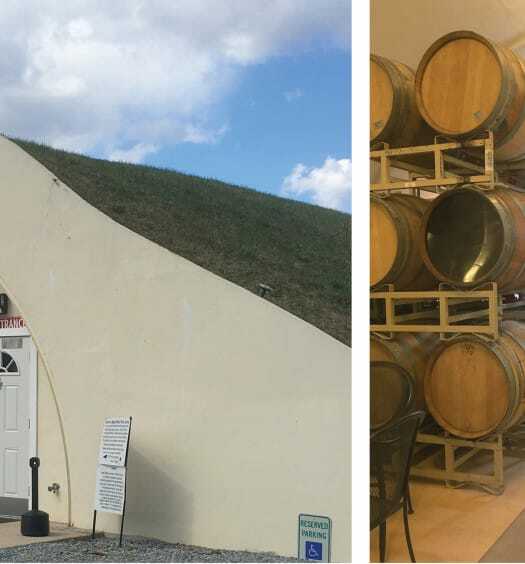 Take the offshoot trail to the left after a ¼ mile to visit the Civil War-era tunnel just a few hundred feet off the trail. When you get back on the CCT, you are on the final mile of the trail, which will end in Byron Avenue Park. Hurray! You have now completed 30 miles of the 40 mile CCT. Join us for the Segment 4 trail notes in the Winter 2017 issue!